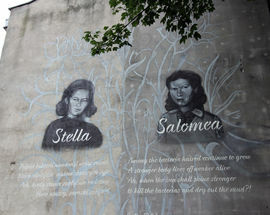 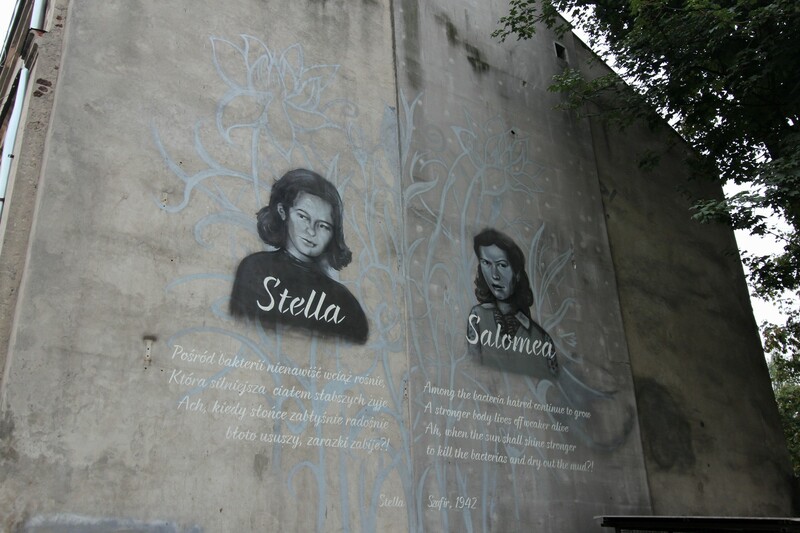 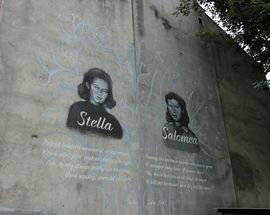 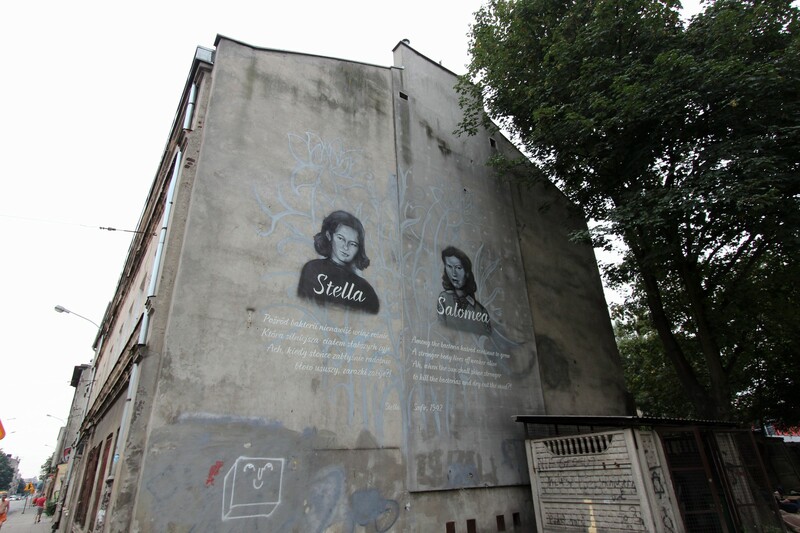 Created in 2017 by the Marek Edelman Dialogue Center the mural shows two friends, Stella Szafir and Salomea Kape​​​​​​​, whose lives took different paths due to the Second World War. 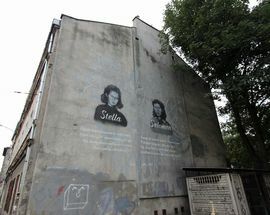 Stella was one of the thousands who the Nazis deported in 1942 to the Kulmhof camp in current day Chełm, where she was killed at the age of 14. 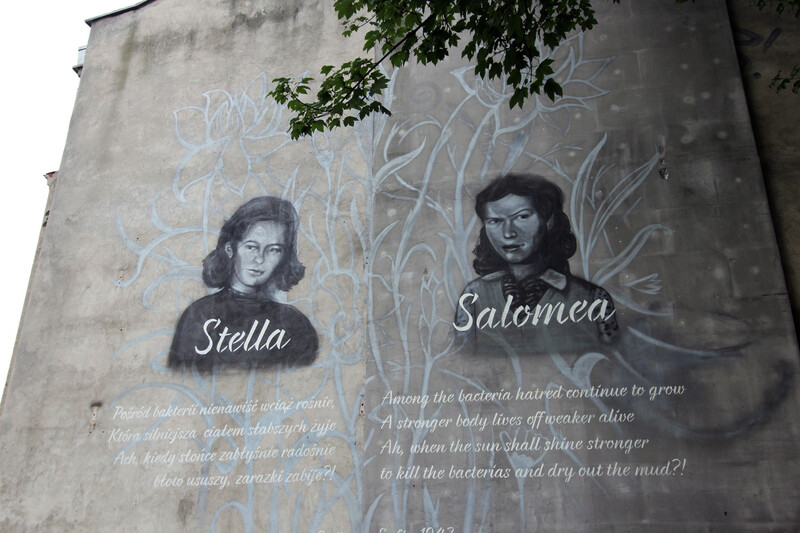 Saloma remained in the ghetto and survived the war, and indeed, the concept of the mural was hers, to be placed on the building which her grandparents once owned.